So I grew up as an only child…but somewhere along the way I became a middle child. Both my parents re-married (my mom married my step-dad when I was 11, and my dad married my step-mom when I was 19) and each of my step-parents has a son. So yep I went from only to middle. Kinda. I never really grew up living with either of my step brothers so I don’t know what its like to, um, share and fight and go on family trips with a sibling. But nonetheless I LOVE my step-bros bros more than I can say! My older brother is 20 years older than me. I was at his wedding to my sister-in-law, Angie, when I was 8. When I was 12, their daughter Georgia was born. And I can not tell you how friggin’ excited I was to be an auntie!!!! I am still excited to be an auntie, especially because now I have a niece & nephew! I take the job very, very seriously. I love babysitting my niece and nephew, and just hanging out with them. I also love hanging out with Mitch & Angie! They are such an integral part of my life now, I’d be lost without them! Heck, they are even our neighbors, living just blocks away from us! Yep I pretty much can’t get enough of them! 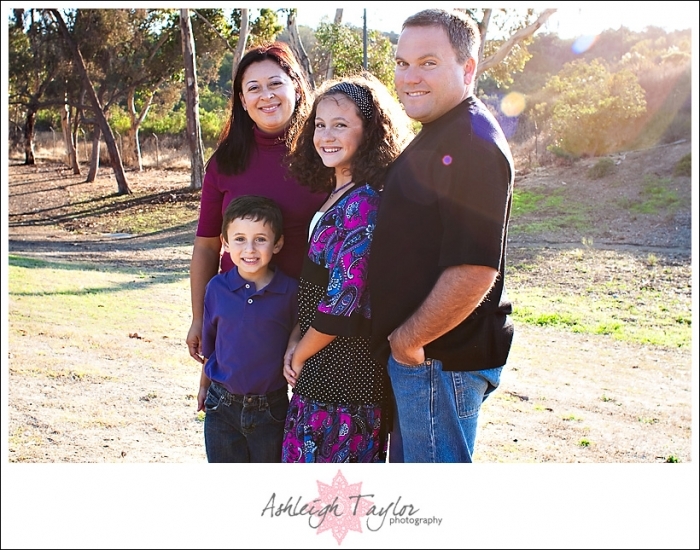 Soooo…when Angie asked me to take some family portraits of them a few weeks ago, I was thrilled! I was honored actually, because Angie studied photography and is a pretty amazing photographer herself! 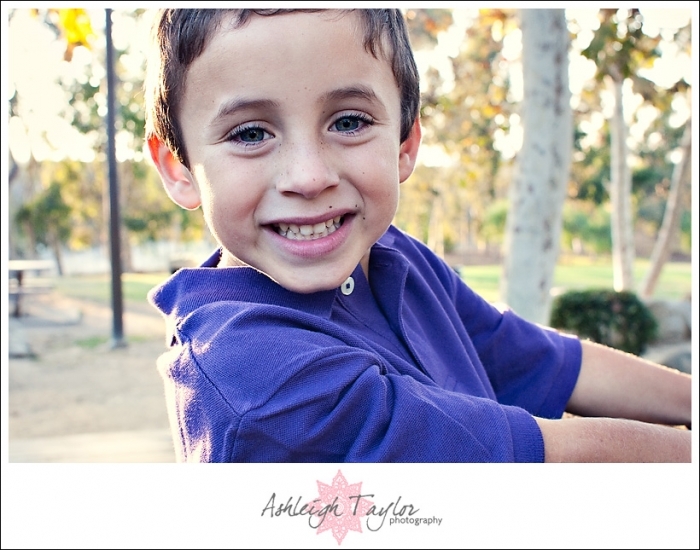 So here are a few shots from our family portrait session, which we took at Kenneth Hahn Park. I really need to enjoy this park more often because its so big and beautiful! Because we’re family and chatty with each other, we kinda lost track of time and got a late start! The sun was getting low, but did offer up some cool lens flare! Kenneth Hahn has a beautiful lake and creek thing running through it! Yes, it’s man-made but it still makes for a pretty background! Here’s my Leo! My nephew and I have this crazy bond! He cracks me up and actually reminds me a lot of myself when I was little. He is a unique little kid who loves to ham it up, get attention, be the boss and is dangerously smart! Yes, that can mean he doesn’t always listen to the adults when he should…but I think its kinda awesome. hehe. I love that he beats to his own drum! I feel like we are kindred spirits and that I was destined to be his Aunt. It’s kinda amazing how things work out in this world…sometimes your family isn’t born to you, it finds you! My niece Georgia had a playdate with her BFF Molly that day, so Molly tagged along as my assistant 😉 Of course I had to shoot some pics of these two girls! Aren’t they fierce?! The girls already have developed such style! Check out their awesome shoes!!! Mitch & Angie have been married 15 years!!! 🙂 And they are still sooo in love! ashleightaylorphotography - thanks sherry!!!! i love that one too! Sean - Seriously Ashleigh – I neglect your blog for a week and you post all these ridiculously gorgeous photography! Love the light in all these, but that first image is something special. Love that moment between the brother and sister – so cute! 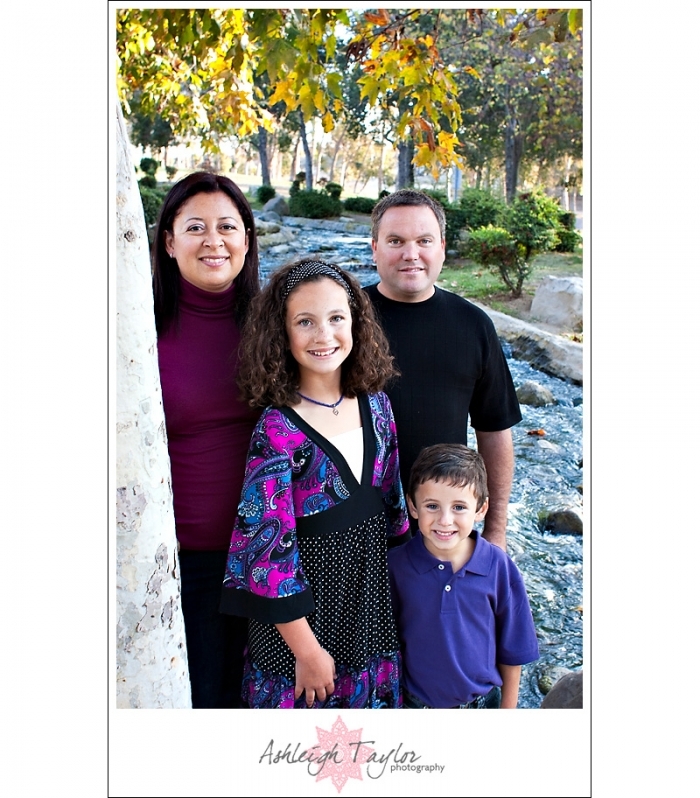 crave photography - This was a great family session! Debbie - You must do more family portraits! The Twersky family is beautiful! Jeremy - Great stuff, very cute!